Note: these plans are for Employers and Recruiters to post job offers on HVACJobsCenter.com. The site is entirely Free for Job Seekers. HVACJobsCenter.com is the best online recruiting platform for HVAC Jobs, Refrigeration Jobs and Plumbing Jobs. It provides great features to both Job Seekers and Recruiters. HVACJobsCenter.com website gets more than 2,500 unique visitors per month, and this number keeps going up each month. Most of these visitors are HVAC, Refrigeration and Plumbing professionals located in the US and Canada. 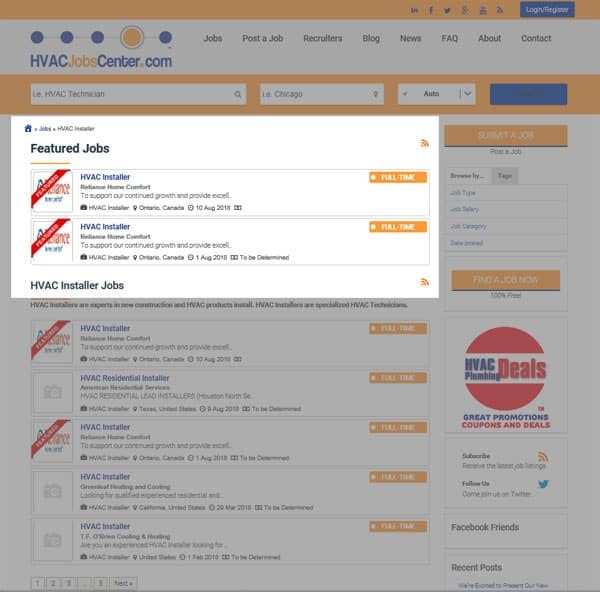 Jobs posted on HVACJobsCenter.com reach over 25,000 industry professionals in the US and Canada via our direct contacts, Social Medias, groups and email alerts. For the same reasons, we get fewer low quality applications from people without any industry experience nor qualifications. This saves Recruiters’ precious time. All that for less than most competing websites. But really, you should see us more as a complement to other websites because we will reach a different audience, narrower but more pertinent to your needs. Banner Advertising is also available. Click Here for more information. All plans expire after one year, or once all job posts have been used, whichever happens first. We strongly recommend using all your job posts within plan duration since unused job posts will expire with the plan. Active posts do not expire with plan. For instance, let’s assume you purchased the Ultimate Plan and posted your 9th job after 364 days. The next day your plan will expire and so will your unused 10th job post. However, your 9th job post will remain active for another 59 days and you will still be able to manage it. 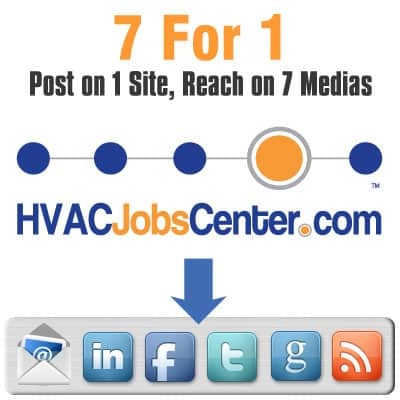 On LinkedIn, we share your job on HVAC Job Center’s LinkedIn Page, HVAC Job Center’s LinkedIn Group, HVAC Connect’s LinkedIn Group and many, many other carefully selected groups. 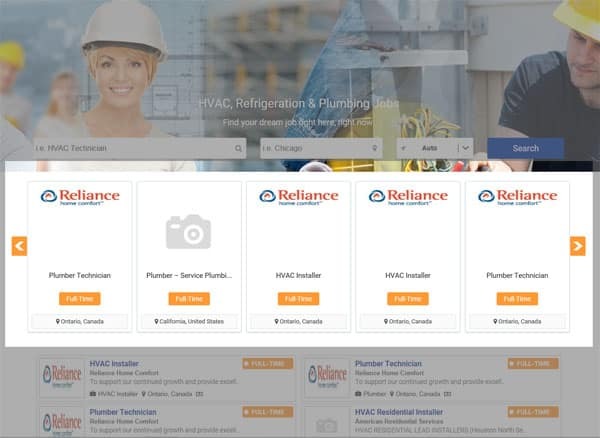 Each Job Offer posted on HVACJobsCenter.com efficiently reaches thousands of HVAC, Refrigeration and Plumbing industry Professionals!